China is making the world’s first graphene based e-paper. So if you were thinking that e-papers are outdated then China’s graphene based e-paper will surely give you a new perspective to think about. Guangzhou OED Technologies in association with Chongqing is developing this material which is said to be more brighter and more flexible compared to other e-papers. Chen Yu, general manager of Guangzhou OED Technologies said that it will be “The world’s first graphene electronic paper”. The idea behind using graphene is because it is the lightest as well as strongest material. A single layer of graphene is 0.335 nm and hence can be used to create hard or flexible graphene displays. The material can also conduct heat and electricity. Graphene e-paper is more pliable and has more intensity and its high-light transmittance means optical displays will be enhanced vastly. 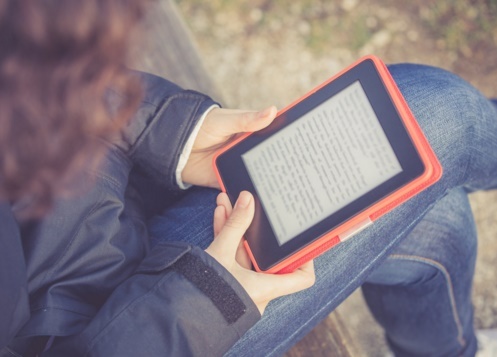 The enhanced brightness and flexibility not only let users read in day time but also allows them to be used in e-readers and wearable smart devices. Another advantage which is definitely rhe most important one is the cost effectiveness. The material is easily derivable from carbon and does not need much expense for making the papers. According to Reports, the e-paper willbe ready within a year.